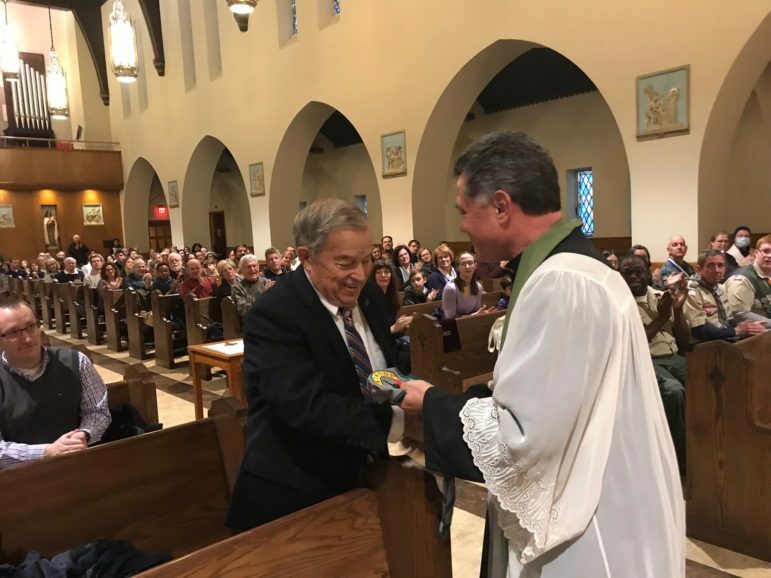 This year, 2018, marks the 75th anniversary of Boy Scout Troop 361 at Saint Mary Magdalen Parish. The troop was first chartered on January 15, 1943 by the Holy Name Society. For 75 years our Boy Scout Troop has provided countless opportunities for personal growth, outdoor adventure, character development and religious commitment. 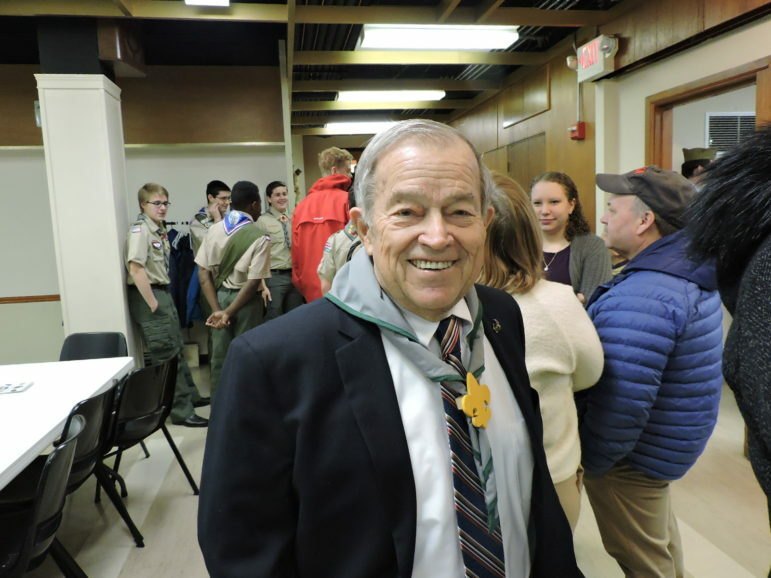 This Sunday, the scouts honored parishioner Norm Krumrey who was an original charter member of Troop 361 at its founding in 1943. Father Jack Siefert congratulated Norm and presented him with a scout neckerchief embroidered with the troop name and number on the back. After the presentation coffee and donuts were served in the lower level of the church. 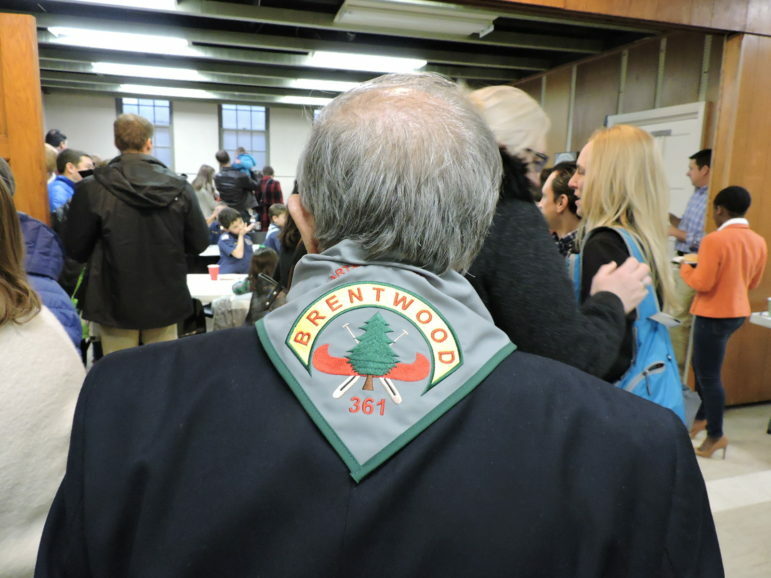 Troop 361 is so proud of all of the scouts who have come through the ranks, and so blessed to have had so many adults who have provided their time, commitment and examples to the scouts. These scouts, both past and present, have developed the confidence and responsibility needed to be good life-long learners. Norm Krumrey was an original charter member of Troop 361 at its founding in 1943. Father Jack Siefert congratulates Norm Krumrey.